City’s Professor of International Economic Law, Professor David Collins, comments on the features of the new free trade agreement. 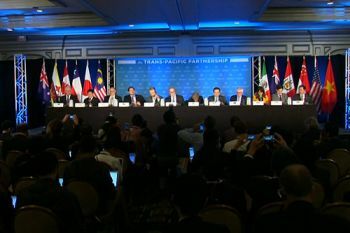 The recent finalization of the Trans Pacific Partnership (TPP) after marathon talks in Atlanta is a landmark event in global trade relations and should bring significant economic benefits to its 12 trading partner nations including the US, Japan, Canada, New Zealand and Australia as well as numerous developing and emerging states on the Pacific Rim. Covering 40 per cent of global GDP, the TPP is the largest trade deal since the WTO was created in 1995. It represents the most significant of the new generation of mega-regional economic integration agreements that have emerged as the counterpoint to the WTO’s faltering progress at the multilateral level. As a free trade agreement, the TPP will eliminate barriers to trade in goods and services among the signatory states, covering not only traditional barriers like tariffs but also regulatory barriers in the form of uneven health and safety standards, many of which will be streamlined through international harmonization. As an economic integration agreement, the TPP also includes stronger commitments for the protection of intellectual property, rules open government procurement and perhaps most crucially, protections for foreign investors. The TPP is thought to be worth hundreds of billions of dollars in goods and services for its signatory states each year, dwarfing the achievements of all other regional trade agreements including the Transatlantic Trade Investment Partnership or TTIP (EU and US) and the Comprehensive Economic and Trade Agreement or CETA (EU and Canada). Among the agreement’s most controversial features are its Investor-State Dispute Settlement (ISDS) provision which allows multinational firms to bring legal claims directly against host states for actions such as expropriations and other forms of discrimination. This regime is hotly contested because it is perceived as an illegitimate way to side-step local courts by using privately-appointed international and confidential tribunals which operate in secret, which some view as an affront to sovereignty. The debate over ISDS continues to rage in connection with the TTIP, with a number of radical proposals being tabled recently, including the establishment of a specialized court composed of appointed judges and a right of appeal. While neither of these features will apply to ISDS under the TPP, the TPP does include a remarkable carve-out for the tobacco sector, instigated in response to the much-maligned ISDS claim brought by Philip Morris against Australia. Tobacco companies will be precluded from using the treaty’s investor-state dispute settlement mechanism, being relegated instead to use local courts when bringing a grievance against a host state. Others contend that many of the obligations contained in the TPP relating to regulatory transparency and harmonization, while advantageous for developed states such as the US and Canada, will necessitate costly reforms that could be harmful to developing countries parties such as Vietnam and Malaysia. 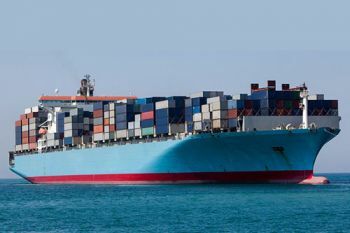 During its negotiations one of the most widely praised features of the TPP has been its provisions on labour rights (minimum wage and the right to unionize) and environmental protection (preventing over-fishing and controlling pollution). These truly progressive features are subject to enforceable sanctions that may become benchmark legal obligations in future trade agreements. The environmental features of the TPP are expected to combat trade in endangered species, a fantastic achievement for an economically focused treaty. Unfortunately anticipated obligations to prevent currency manipulation, which had been extensively discussed, failed to materialize, leaving much of the work to control this harmful strategy up to the increasingly paralytic International Monetary Fund. It is important to recognize that the TPP must still be ratified by each of the signatory states and this is by no means a fait accompli. US President Barack Obama, a long-standing proponent of the TPP, empowered by the recently-granted fast track authority for trade pact approval, must still push the agreement through Congress where Democrats have voiced much opposition to the pact in the past. In Canada, where a Federal election is looming, one leading challenger has vowed that the TPP will never be ratified if he becomes Prime Minister, a distinct possibility given that the three main candidates are in a dead heat. Meanwhile, top Republican presidential candidate Donald Trump has promised that he would renege on the deal if he gets to the Oval Office, a statement that is aimed at securing support from his grass-roots manufacturing base, many of whom feel that free trade brought about by agreements like NAFTA and the WTO sold out their futures in favour of multinationals with factories overseas. Given that this view is largely echoed by the leading Democratic candidate, Hillary Clinton, the future of the TPP in the US, as in Canada, is uncertain. While the TPP may present challenges for some sectors, including those that had enjoyed protectionist policies in the past (like Canada’s dairy sector), on balance it should be viewed as a major achievement in international trade negotiations and it is unlikely that any sensible politician will resist it in the longer term. Investor-state dispute settlement (ISDS) is an instrument of public international law, that grants an investor the right to use dispute settlement proceedings against a foreign government. Provisions for ISDS are contained in a number of bilateral investment treaties, in certain international trade treaties, such as the North American Free Trade Agreement (Chapter 11) and in international investment agreements, such as the Energy Charter Treaty.